Yesterday I was in the mood for some soup - probably because of our little Florida coldsnap... which is preparing us for the coldness of Atlanta... I found this recipe on AllRecipes.com for this Slower Cooker Chicken Taco Soup and made it last night - I took this picture after I added some cheese, chips and sour cream... YUMMY!!!! 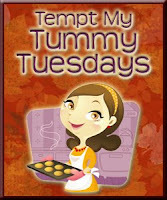 As always check out Blessed with Grace's Blog for more yummy recipes! Friday - TECC & AmyR Sketches!